Here's a REALLY old pic I found buried on one of my Memory Sticks. 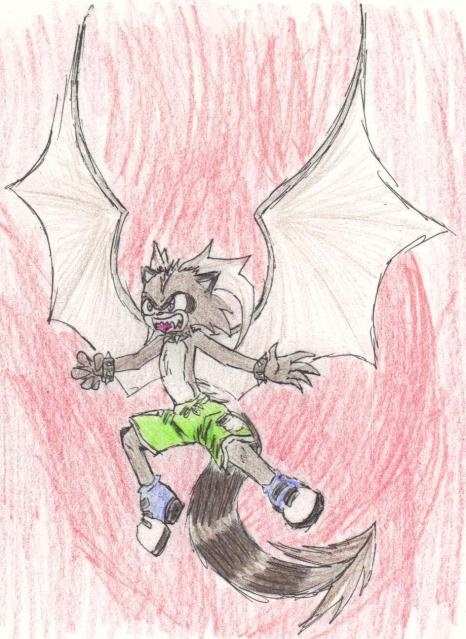 Several years ago, an old friend was drawing dragon versions of her friends' fursonas. I was one of them in that series! The result was Shane the Weredragon, a badass tanuki/dragon who's 20% cooler than any Werehog! Unfortunately, the artist who drew this has long since left the fandom, and all my attempts to contact her where outright ignored, so I can't say where she could possibly be now.